Collection Cosmetics has just released its latest blush quad – Blush and Glow – and I was lucky enough to be one of the first people to try it. But is it any good, and will it flatter dark / Asian skin? The blush comes in four shades for highlighting, blush and contouring. Watch me try it for the first time and see my initial thoughts. So overall, I was impressed with the blush for it’s lightness and brightness. On my skin, it doesn’t show up as a strong pigmented shade, rather a light flush of colour. I also like the fact that it doesn’t look chalky on my skin, which is a common issue when applying light blush to darker skin. This is ideal for workwear or for when I want my makeup clean and minimal. However, for the times I need a stronger, more dramatic shade, I’d probably reach for my Mac or Laura Geller blushes. 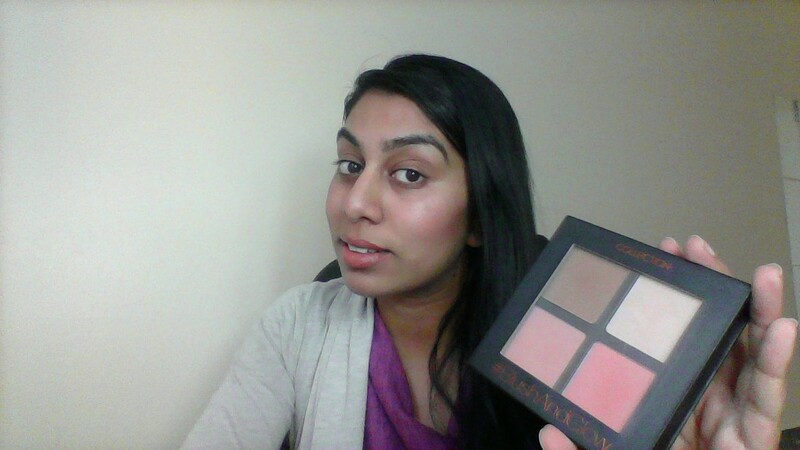 Overall, Collection’s Blush and Glow gets a thumbs up from me.